This is a reminder about the need for a tire pressure monitoring system (TPMS) that alerts a motorhome driver to problems on a towed vehicle. 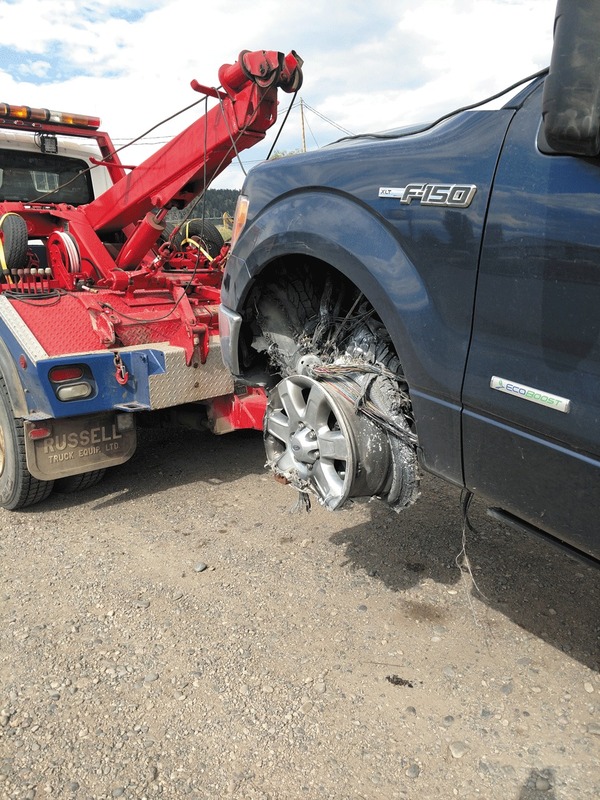 While touring Alaska, we suffered a blowout on the left front tire of our Ford F-150 pickup. I was driving our 2008 Fleetwood Excursion, and with the power of the 360-horsepower engine, I was totally unaware that the tire was gone and that I was grinding the wheel on the pavement. Another motorist waved us over, grabbed his fire extinguisher, and raced back to our towed vehicle and put out the fire. My truck was a total loss. The pickup was equipped with tire pressure sensors, but they didn’t “talk” to me in the motorhome. I was not aware of the availability of tire pressure monitoring systems that scrutinize both vehicles. It has been a very expensive lesson. Editor’s note: See the article “Tire Monitoring Systems” in the September 2015 issue of Family Motor Coaching (page 46).